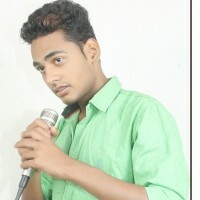 Aasheesh Sen born on 25 January 1998 in New Delhi, India . Better known by his stage name The Smoothest Aashu or Smoothest Aashu is an Indian Singer, Rapper, songwriter and record producer from India . He is best known for his popular cover version of “Main Hoon Hero Tera "titled "Kya Main Hoon Hero", as well as hit tracks such as "Teri Jawani by Smoothest Aashu . It is a partial adaptation of the song, "Get Up Jawani" is a song by the Indian recording artist Yo Yo Honey Singh . and become a Top Ten Singers List in Delhi NCR in 2016 . Smoothest Aashu started learning music from his father, and writing Hindi and Punjabi songs around that time . His Father's Name is Subhash Chand . He has recorded Romantic, Rock, Sad, and Rapper songs in: Hindi, English and Punjabi .